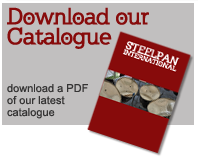 SteelPan Holidays has been designed at the request of Steelpan enthusiasts who wished to develop a greater understanding of the Steelpan as an instrument and the enormous influence by the people and culture of Trinidad and Tobago. This unique and luxurious holiday experience will satisfy your passion for the infectious and beautiful tone of the Steelpan and provide the most fantastic opportunity to immerse yourself in the vibrant culture of Trinidad & Tobago, home of the Pan. 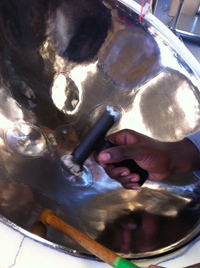 Combine learning about the Steelpan, its relationship with the people of Trinidad and Tobago and how the Steelpan industry works. Itinerary includes Making a Steelpan, University Lectures, Tuning a Steelpan, The Percussive Harmonic Instrument (P.H.I. ), Protective Finishing, Arranging and Teaching and a Panyard visit.